For the home DIY enthusiast and keen woodworker, the best scroll saw is an indispensable workshop tool. 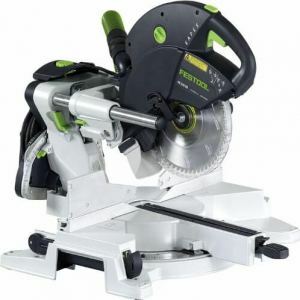 If you’re looking for a power saw that allows you substantial creative scope and also takes up relatively little space in your shop, our scroll saw reviews will lead you every step of the way. The DeWalt DW788 1.3-Amp Scroll Saw is our top pick because of its uncompromising standards and its 3-year limited warranty in tandem with a full 3-month money back guarantee. Originally used for scrollwork, a scroll saw is a small saw used for making intricate cuts and curves in a range of materials. If you’re looking to make highly precise cuts, you’ll have more control than using a jigsaw and make more progress than if you rely on a hand coping saw. Although a scroll saw is not dissimilar to a band saw, in place of a continuous loop, scroll saws have reciprocating blades. You can easily remove this blade allowing you to make cut-outs with no need for an entry slot. It’s this kind of versatility that makes the best scroll saw invaluable. You’ll also get be able to cut far more delicately thanks to the ultra-fine blade. Variable speed control further enhances the accuracy and detailing you’ll enjoy with your scroll saw. Also, since the cuts are so clean there’s minimal need for sanding afterward. Today, we’ll bring you the results of our extensive testing which ended up with us choosing 5 of the best scroll saws currently for sale. We’ll also serve you up with plenty of information to simplify your buying decision from what to look out for in the best scroll saw through to some handy FAQs. Far and away the most popular design, parallel arm scroll saws have a variable speed motor housed toward the back of the arms. A crank hooks this up to the lower arm. The pair of arms remain parallel to each other at all times. These arms are slightly longer than the saw’s throat depth. They swing together like a see-saw. The blade connects the arms at the front and there’s a link to the rear to balance out tensioning. Some parallel arm scroll saws have a separate blade tensioner while on other models the link itself performs this function. Some scroll saws, those manufactured by DeWalt in particular, harness a tweaked version of this system known as a parallel link. While the arms still hold the blade, those arms are much shorter than on parallel arm scroll saws. An elongated horizontal link connects the arms to a pivoting beam at the rear. The motor pushes rods in the arms to move them. Even though there are more parts, the shorten arms on this variant of scroll saw leads to much less vibration. Although rigid arm scroll saws were once extremely popular, they have fallen from favor. The cast-iron frame is made from a single piece of material. A pitman arm on the bottom of the blade pulls it down. The blade is pulled up again by a spring located in the upper arm. The serious inbuilt flaw with rigid arm scroll saws is the blade changing tension with each stroke. This causes a serious issue with accuracy. We only mention this type of saw so if you come across one, you should give it a very wide berth. Forewarned is forearmed. With so many different scroll saws on the market, making the right choice can seem overwhelming. Luckily, we’re here to help! Kicking off our best scroll saw reviews is a superb 20-incher from DeWalt coming in at a very keen price point for a professional-grade saw. Think about the lighting in your workshop and whether or not you already have a serviceable stand and roll with the most appropriate bundle. Worth every cent it is better to pay the amount then fiddle around with other devices that are made mostly for pin blades and just do pinless blades as a secondary function. This is made for pinless blade first of all this is not meant for pinned blades so please don't complain it does not use pinned blades they should say pinless blades in the headline. While the DW788 is not exactly cheap, we have to applaud the overall value of money considering the first-rate build quality and performance on tap. Not everyone is looking for the cheapest scroll saw but rather for the most effective one that’s built to last. Due to its solid construction, the DeWalt is a scroll saw built for precision but also capable of taking some heavy punishment. Like all DeWalt scroll saws, the parallel link system ensures you’ll get very little vibration when you’re working. It also serves to cut down considerably on noise. This is particularly handy if your workshop at home is close enough to the main house to disturb others. It should be noted that some users report a distinct increase in noise as you work the saw harder but this is to be expected really. 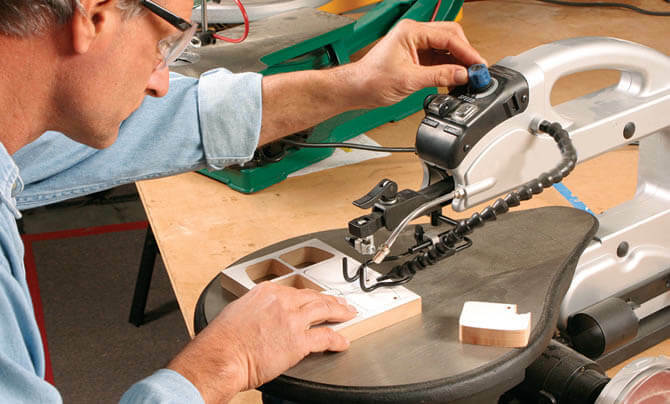 Whatever the application, it’s essential that your scroll saw is both accurate and dependable. With the ability to make tweaks where it counts and DeWalt’s build quality, top-notch motor and attention to detail, the DW788 won’t let you down. With a hard-working 1.3-amp motor running on 120V, you’ll get all the performance at an efficiency rating that will keep your power bills down. The variable speed motor lets you make rapid adjustments from as little as 400 strokes-per-minute up to a maximum of 1750SPM. The meaty cast iron table is equally flexible across applications. You can bevel 45 degrees to the right or left so you can work on a range of projects with full support. A clean workshop is essential for safety and comfort both. The DeWalt comes packing a nifty dust blower so kiss goodbye to rogue debris queering the pitch. With a professional power saw, ease of use should always come uppermost. The DW788 has all the controls nicely grouped on the upper arm. There’s an On/Off switch, lever for blade tensioning and speed control so DeWalt keeps things simple while giving you all the functionality you need. The dust blower is also located here so you can direct it wherever it’s most needed fuss-free. Thinking of ease of use, blade changing couldn’t be simpler. You won’t need to reach for any tools thanks to the neat clamps so you can get straight back to your project without breaking your stride. The arm is equally easy to lift up simplifying the way you thread your blade through when carrying out inside cuts. Pivoting forwards from the back of the saw, the arm needs to travel less distance. As well as keeping the noise down, this also lends to a much smoother operation. Again, DeWalt keeps the craftsman in mind at all times. Since this blade is designed to always stay perpendicular to the workpiece, there’s far less likelihood of either under cutting or over cutting. Precision rules with the DW788 scroll saw. We’ll take a parting look at the advantages and drawbacks of this superb scroll saw so you can see clearly whether it deserves a place on your shortlist. If you’re serious about your woodworking or a committed DIYer, investing in the DeWalt DW788 will be money very well spent. It’s not a tool for a hobbyist or someone just starting out but then that’s not its intended market. For anyone with the budget to spare and uncompromising standards when it comes to woodworking, the DeWalt DW788 is a strong contender for the best scroll saw on the market dollar for dollar. We’re not here to urge you to buy any particular scroll saw, merely to point you in the right direction of worthy candidates for your workshop. The DW788 is well worth checking out. If you’re not convinced, the stellar 3-year limited warranty in tandem with a full 3-month money back guarantee should take all the sting out of your decision. Next up in our best scroll saw reviews is another 20-incher, this time from the highly reputable Delta Power Tools. This scroll saw is designed with beginners in mind yet also more than capable of being put through its paces for hours on end. We opted for the bare tool. The 40-694 is also available at extra cost with a light and stand thrown in. Much like the DeWalt, this scroll saw comes with a shower of positive user reviews and very few reported drawbacks. As always, we’ll give you a completely honest, warts and all rundown so you can whittle down your options and get the best scroll saw for your particular needs. I have had this a month and really love this saw. I had a 30 year old one from a different brand that finally dies. This one is like comparing a Chevette to a Lincoln. This is definitely the Lincoln. Easy blade change, several adjustment knobs, cuts through Walnut like butter. Don’t be tricked into undervaluing this scroll saw based on its stripped-down looks and somewhat basic nature. It’s with just cause the 40-694 is a mainstay of professional workshops and training schools alike. This is another parallel link scroll saw so it offers first-class vibration dampening and a fairly noise-free experience. The large 16 x 24 inch table with ready access to the tensioning mechanism makes for a top-tier scroll saw experience. As with the majority of 20-inch scroll saws, you’ll get a 1.3-amp motor on the 40-694 more than adequate for most cutting requirements. You can adjust the speed from 400 strokes per minute up to an impressive top speed of 1750SPM. For most reasonable requirements, a throat depth of 16 to 18 inches is more than sufficient. With the 20-inch 40-694, you’ll be able to handle larger workpieces without sacrificing accuracy. On the subject of accuracy, the super-thin blade, variable stroke speed and overall maneuverability of this scroll saw lets you work with a range of materials from plastic or plywood with total precision. Depth of cut simply refers to the thickness or width of material you can work with. Where the average scroll saw cuts to 1 ¾ inches, the Delta Power Tools 40-694 has a rating of 2 1/8 inch which allows you to efficiently deal with planks fuss-free. There’s little worse than needing a new blade and needing to stop and hunt one down. The handy storage area on board the 40-694 puts paid to that once and for all. You’ll even get a free pair of blades chucked in. Changing the blade is a cakewalk with the upper arm lift locking when raised. You won’t need any special tools to do this. If you need to make any curved cuts, pop in some spiral saw blades and you’re all set. The pinless blades give you the flexibility to work with a wide array of materials. Once it’s assembled, this tabletop scroll saw has a fairly compact footprint measuring just 16 inches wide and 39 inches deep. It’s solid enough to deal with even tough tasks without taking up too much precious space in your workshop. Equipped with a dust blower, you can immerse yourself in your various cutting duties without worrying about flying debris impeding your vision and irritating your airways. 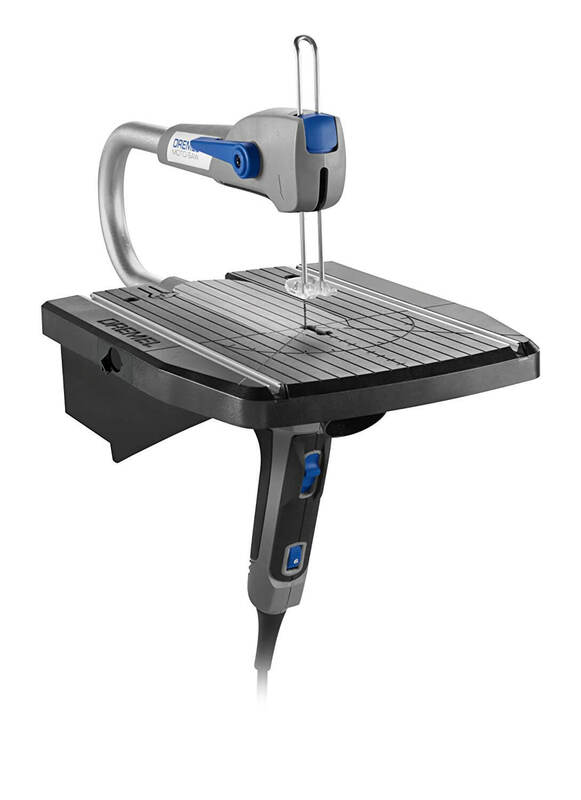 With the controls all within reach of your fingertips, this scroll saw delivers an incredibly user-friendly experience whatever your level of woodworking expertise. 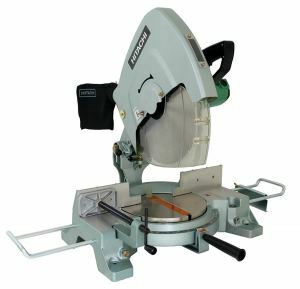 This scroll saw is not really marketed at more advanced woodworkers and if you fall into this category, it’s quite likely you’ll shoot for a more upscale saw designed with your needs in mind. If you’re just starting out on your woodworking journey or you’re operating on a tighter budget, however, the Delta Power Tools 40-694 might be just what you’ve been looking for. The class-leading 5-year limited warranty shows just how much stock Delta Power Tools place in this superb scroll saw. No manufacturer offers up a guarantee expecting to lose out on the deal overall. You can buy knowing that you are completely covered in the unlikely event of anything going wrong which is the finishing touch on a magnificent scroll saw. Overall, this is an adaptable and effective scroll saw that lets you take on a wide range of projects with confidence. Whether you choose to buy this scroll saw online or in the store, why not road test the 40-694 and see if it fits the bill. We can assure you it won’t disappoint. 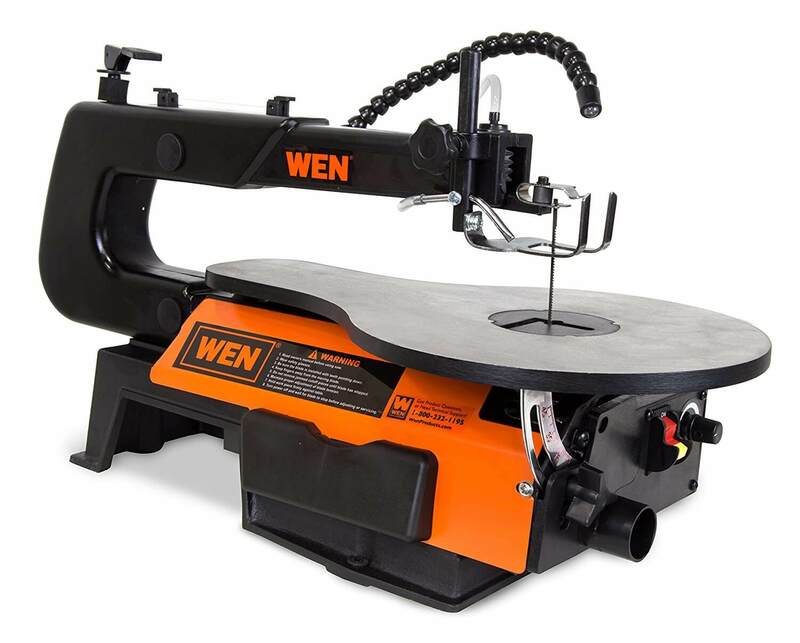 As we continue our best scroll saw reviews, a much lighter-duty model comes next in the form of the WEN 3920. This saw is also incredibly reasonably priced but still more than fit for purpose whether you are starting out on your woodworking journey or a DIY enthusiast looking for a helping hand. With a throat size of 16-inches, the WEN also accepts blades in 2 directions so you’ll enjoy a great deal of flexibility with the 3920. You’ll be able to work with large pieces up to just under 2 inches so don’t let the smaller nature of this scroll saw fool you into thinking it’s a lightweight performer. A glance at the main features you’ll enjoy before we strip down the functionality of this budget-friendly scroll saw. I purchased this scroll saw to cut underlayment for purses I make & sell on Etsy. It is a nice little scroll saw & I'm pretty happy with it. I do not find it difficult to switch blades, unlike some other reviewers. It seems quite sturdily built. Extra features: Variable speed motor, 16 x 10 inch table, 9/16 inch stroke length. In the standard position, you can opt for either pinned or pinless blades. Check out our FAQs below for more on this. In this regular position, you’ll get superb support from the table and you can make angled or beveled cuts. It also helps you to make light work of any elaborate internal designs. You can also use a pinned blade at 90 degrees allowing you to cut width-wise rather than end-to-end. Positioning the blade like this lets you sidestep the limitations of the smaller 16-inch throat so it’s ideal for larger workpieces and ripping with abandon. For much larger cuts, you’ll need an extension table. The worktable is fairly substantial at 16 x 11 inches. Made from cast-iron, you won’t be plagued with vibration. Two bolt holes for mounting help to minimize vibration further rather than a free stand. You’ll be able to bevel out to 45 degrees to the left. A 9/16-inch stroke length is enough to work with pieces of wood up to 1.9 inches in thickness so the WEN is no lightweight. Tweaking the cutting speed is a cinch. You can fine-tune the strokes per minute from a pedestrian 550SPM right through to 1600SPM where the WEN maxes out. The control knob is located at the front of the saw. This is not just convenient, it also means your hands won’t obscure your line of sight. Visibility when you are working is a must. With this scroll saw, you’ll get an efficient air pump built in so all the dust and debris is neatly sucked away giving you a perfect line of sight. There’s also a flexible LED worm light. If your workshop is a little on the dim side or your eyesight is less than 20/20, this is a fantastic touch you simply don’t expect in a cheap scroll saw. WEN don’t stint on those extra touches. You’ll even get some hex wrenches and a pinless blade adapter chucked in so you have everything you could need to get going straight out the box. Considering the exceptional functionality and versatility of this WEN scroll saw, it’s hard to believe it comes in at such a keen price. The thing is, the 3920 is not just cheap, it’s also a real multi-purpose workhorse. Whether you want to engage in intricate internal designs with your scroll saw or go about making rips with speed and confidence, this smaller 16-inch saw is a wolf in sheep’s clothing. Often, cheap scroll saws are unreliable or unfit for purpose. The opposite is the case with the ultra-reliable and hard-hitting WEN 3920. If you are looking for something giving you enormous freedom and first-class cutting performance with a twist, check out this scroll saw today and you could be working on a new project tomorrow! As we near the end of our best scroll saw reviews, we’ll walk you through another budget-conscious choice, the Dremel MS20-01. Marketed as a moto saw with scroll saw kit, fear not… You’ll get all you need from the best scroll saw and more. Dremel has a hard-won reputation for producing top-tier kit at prices that don’t reflect this. So, if you’re looking for that rare match of affordability and performance, the MS20-01 might be just what you are looking for. I build model ships and planes and so far it has done all that was required of it. I found it does have a problem with 3/4" oak but it was not intended for that type of work. 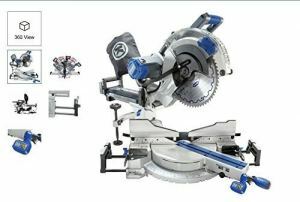 I would recommend it for the model builder..
Everyone has different requirements when it comes to scroll saws. While some woodworkers demand a powerful 20-inch beast capable of highly precise professional projects, others prefer a little more mobility and adaptability. At the press of a button, you can convert your Dremel from a nifty stationary scroll saw into a handheld coping saw. 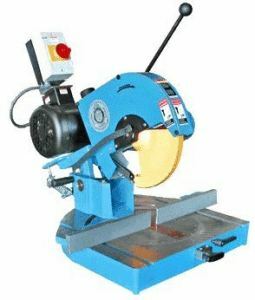 This widens the scope of projects you can undertake and gives you a wonderful dimension of maneuverability lacking in other single-use scroll saws. Variable speed controls help deliver all the control you need whatever task you have in mind. You can relax knowing you’ll get the most effective cutting results regardless of the job or material. Take things slowly when you need more accuracy and ramp it up when raw cutting power is of the essence. You can take advantage of the fast clamp base and snap the Dremel onto any appropriate work surface in no time. Swapping out accessories is equally rapid. You’ll get an assortment of 10 blades bundled with your scroll saw. These will allow you to work confidently across an array of materials. Whether you want to cut plastic, metal or wood, Dremel has a blade for that precise purpose. One thing to watch out for is that it’s not practical to fit generic blades into this scroll saw. Make sure you factor this into your buying decision so you don’t find out later and end up annoyed or disappointed. The other salient point regarding blades is that you will not be able to use pinless blades. Think carefully about your needs and preferences. Only you can decide if this is a deal-breaker or a non- issue. While some scroll saws seem to demand a PhD to use them effectively, the Dremel is super-simple whether you’re just beginning your woodworking journey or a more accomplished and experienced craftsman. Weighing less than 5 pounds and measuring just 18.5 x 14.5 x 4.8 inches, this slimline scroll saw offers a great deal of performance without eating up too much precious space in your workshop. As with all worthwhile scroll saws, the inclusion of a dust port adapter means you can keep your workshop free of flying debris and irritating sawdust and focus firmly on cutting in complete safety. With a portable scroll saw, keeping it protected in transit is essential. Dremel has you covered and provided a hard case so you can move the MS20-01 around without a headache. Not only is this an exceptionally cheap scroll saw, you effectively get two machines rolled into one so it represents incredible value for money, especially considering the brand heritage of Dremel. If you don’t mind taking a slight hit on accuracy and you’re not looking for a saw you can use for heavy-duty cutting all day long, the Dremel MS20-01 is well worth popping on your shortlist. With a 2-year limited warranty from the manufacturer, what have you got to lose by giving it a go? As we come to the end of our best scroll saw reviews, it’s time for a much more expensive option from the industry giant Hegner. The Amazon listing for this saw is fairly sparse since this type of product sells itself really. If you’re reading this and seriously thinking about a Hegner, we don’t need to tell you about the company’s reputation or heritage. What we will do, though, is run down exactly where this scroll saw earns its whopping price tag. Only you can decide whether or not this is justified. A great machine. I had tried the Dewalt 788 (two of them, as a matter of fact! ), and this one is far superior in every respect. It is important to have a good solid base in order to reduce vibration. Also, if one intends to do fret work, the QuickClamp is highly recommended. The parallel arms reduces the forward and backward movement of the saw blade to a minimum, a solid base reduces vibration and noise to a non-factor, and changing blades is every bit as easy as was it was with the Dewalt. With a 22-inch throat depth, the Hegner is man enough to deal with projects of all sizes, however heavy-duty. Clearly, this scroll saw is not for the casual DIY fan or fledgling woodworker looking to make a few delicate cuts. While most commercial scroll saws are 16-inch or 20-inch, Hegner steps up the throat size to a generous 22 inches so you can deal with even bulky workpieces without sacrificing accuracy and precision. Thickness of cut is a commendable 2 5/8 inches. The substantial induction motor can withstand sustained and heavy use. This is a highly dependable saw that will keep at it for years without leaving you in the lurch. You’ll get remarkable attention to detail throughout with the Hegner. There’s an integrated bellows system so all the sawdust created is kept well away from your pattern line. The cast-iron arm has a useful finger guard so comfort and safety go hand in glove. The highly effective double Quicklock tensioning system is unique to Hegner and makes your life easy while guaranteeing the ultimate in precision. As you might expect with such an upscale and expensive scroll saw, the attachments and accessories included will leave you with a big grin. Alongside a wrench and the blade clamps, there’s a package of 76 blades catering for just about any eventuality. The 7-year manufacturer’s warranty lets you part with your money minus any of the niggling worries that can accompany a substantial purchase. If anything goes wrong, you’ll be covered rather than exposed to potentially costly repairs. Everyone has differing needs when it comes to scroll saws. Clearly, if you’re after a cheap and cheerful, portable saw then the Hegner is not for you. If, on the other hand, you’re a committed woodworker with the budget to stretch to it, this 22-inch behemoth will represent a wonderful investment and last for years. While we rarely urge anyone to snap into action and act quickly and never employ false scarcity tactics, there are limited stocks of the Hegner on Amazon. If you are seriously considering buying this magnificent scroll saw, don’t hesitate and check one out at your earliest convenience! Price aside, there’s nothing we can say against this scroll saw and we nominate it the best scroll saw on the market for anyone with demanding needs and deep pockets. Scroll saws are not tools for the job site but rather for the home woodworker or anyone with an enduring interest in DIY. Regardless of your skill level, there’s a scroll saw for every ability and budget. Whereas a band saw has more applications and is more of an all-purpose power tool, scroll saws could be termed a specialty saw. From creating highly elaborate craft items like jigsaw puzzles through to various sculptures, scroll saws offer a delicacy and ability to make fine cuts not found in other saws. For more run-of-the-mill woodworking and DIY projects, scroll saws let you make precise cuts with absolute accuracy. 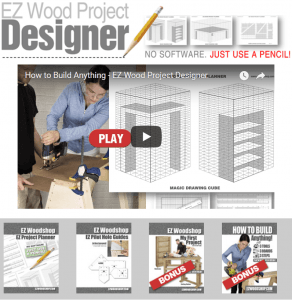 You’ll be able to create curves and dovetail joints, think cuts and very intricate designs. The kicker is that you won’t really need to sand afterwards since the cuts are so clean. If you’re after a winning combination of speed and accuracy for highly detailed work, there’s no substitute for the best scroll saw. 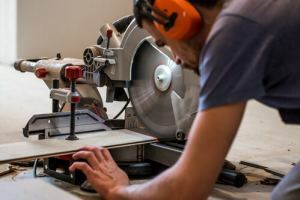 We’ll now lead you through a concise buying guide focusing on 8 of the main things you should give due consideration if you want the best scroll saw for your money. As well as thinking carefully about the below pointers, one thing you should be very firm on is budget. Do not under circumstances stretch yourself financially in order to afford any power tool. Building up tools in your workshop is an ongoing process that needn’t be rushed. Also, if you’re pressed for cash, we’ve included plenty of budget-friendly options above. Look at some user reviews for honest feedback. It always pays to be aware of any reported flashbacks which is why we’re unfailingly frank in our product reviews. The throat size is the measurement from the rear of the blade to the saw’s back throat. A 20-inch scroll saw refers to this measurement. The throat size is indicative of the size of material your scroll saw will handle so buy according to the projects you have in mind. 12 inches is about the smallest on offer, 16 to 20 inches is best for home use or small workshops with 30-inch scroll saws for industrial use. The depth capacity or thickness of cut ranges from 1-¾ inches to over 2 ½ inches. This refers to the thickness of material you can work with. As with the throat length, you need to analyze your personal requirements and check before buying that you’ll be able to handle the projects you have in mind. The cutting speed of the best scroll saw is a strong indicator of performance. Low speeds will not enable you to cut hard, rigid materials. As a rule of thumb, 400 strokes per minute is about the slowest workable speed and scroll saws cut at anything up to 1800SPM at the top end. Variable speed is also crucial if you want to make incremental changes depending on application. Think also about blade tensioning. This is key for optimum performance. Quick release blades, ideally tool-free, will make your life easier. The majority of contemporary scroll saws feature a parallel arm drive. This means the motor will be rear-mounted and the arms remain parallel at all times. The other main variant is the parallel link drive which has rods in both arms. 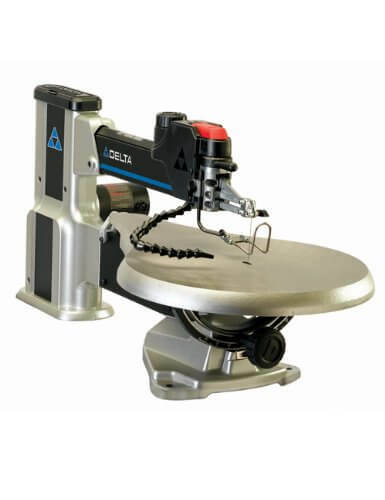 Although the parallel arm drive scroll saw is by far the most popular, the parallel link system gives out less noise and vibration so is in many ways the smart choice. Since a scroll saw is used for projects where the utmost accuracy is paramount, it pays to look for one with nicely grouped controls all within easy reach. Each of the scroll saw we review above excels in this regard. For the pinnacle of user-friendliness, consider adding a pedal control so you can use both hands to move your workpiece around. Ensuring your workshop is free of dust and debris is a question of comfort and safety both. Our best scroll saw reviews all feature tools with inbuilt dust collection systems. Where many power tools are something of a liability, scroll saws are generally very safe to use. This is not to say that you can work away without any kind of risk. All power tools are potentially dangerous. Maintenance with a scroll saw is minimal. You should always keep it clean and free of dust. Wax the table a couple of times a year. Don’t leave the blades in tension. Check out this in-depth video for all manner of handy hints for scroll saw maintenance and repair. We very much hope you’ve enjoyed this detailed lowdown on the pros and cons of scroll saws. With any luck, our scroll saw reviews have narrowed down your buying decision and given you the confidence to select the saw that best gels with your needs. Feel free to get in touch with any queries or feedback. Come back soon as we are continuing to expand this site with comprehensive guides to the full gamut of power tools for the home workshop. 1. WHAT’S THE BEST TYPE OF SCROLL SAW? When it comes to the parallel arm or parallel link system, work with what you feel best complements the projects you’ll work on. A general rule of thumb for blades is that saws taking pinless blades are thinner, narrower and offer you much a much better feel for intricate work. They will fit through small holes with ease. 2.WHICH SCROLL SAW BLADES WORK BEST? Numbers up to 12 indicate the size of the blade and an “R” after the number shows the blade has reverse teeth. Double teeth blades and skip tooth blades are the most common types of scroll saw blade. Double teeth blades give you a bit more control while skip tooth variants cut a little more aggressively. Blades with reverse teeth tend to make the wood jump slightly. #5 blades with double teeth make a solid starting point. Overall, though, blade choice is very much a matter of personal preference. 3. HOW CAN YOU TELL IF THE TENSION ON YOUR SCROLL SAW IS RIGHT? Flick the blade when it’s in the saw. Make sure, of course, that the motor is not running. If it gives off a high-pitched sound, your saw is properly tensioned. As a rule of thumb, more tension is better than not enough. That said, if you go over the top, you’ll dull the blade quickly. Loose blades mean you’ll dip out on control. Take the time to get the tension right. 4. IS IT POSSIBLE TO STOP THE BLADE CLAMP FROM SLIPPING? It’s possible that the blade will slip out of the clamp. The upper clamp in particular can be vulnerable. Oil on the clamping surfaces is the main reason for this happening. One solution is to use some glass paper and sand the inside of the clamp to roughen it slightly. Cleaning inside with alcohol is another effective approach. 5. CAN YOU STOP BURNING WHEN USING YOUR SCROLL SAW? Get yourself some clear, 2-inch tape to mitigate burning. It occurs most frequently with hard or oily woods. Packaging tape works especially well. The chemical in it eases friction and puts paid to burning. 6. HOW DO YOU CUT CORNERS? Rotating the workpiece gives you a rounded corner. If you use this method, stop cutting but ensure the saw is still running. Apply pressure to the back of the workpiece as you are turning so no wood is removed. Another approach is to cut into the corner then back out a little, perhaps ¼ inch. Turn the blade making certain the teeth are in the waste portion. Then start cutting a curve going outwards and into the corner. When a small piece falls out, this gives you adequate leeway to turn the blade and begin cutting away again. 7. WHAT’S THE BEST WAY TO CARRY OUT STACK CUTTING? Often, you’ll want to work with more than piece of wood. Put them together in 1-inch stacks. Secure them using tape or a framing nailer. This is a great way to get more done with ruthless efficiency. 8. CAN YOU CUT PLEXIGLAS WITH A SCROLL SAW? Yes, you can. Blades without reverse teeth work best with Plexiglas. Polar blades are a strong choice. Also, make sure you use some 2-inch package tape. Pop some on the top and bottom then glue the pattern down. Dial the blade speed back to 700-800SPM for more control. Cut slowly at about half-speed and do not push the blade too hard. 9. HOW DO YOU SQUARE THE BLADE? The table can quite easily tilt without you being aware of it. Keep an eye out for this. A small square or protractor is the best tool for checking. Grab a scrap of wood and make a cut about 1/16 inch deep. Turn the wood around so it’s against the back of the blade. 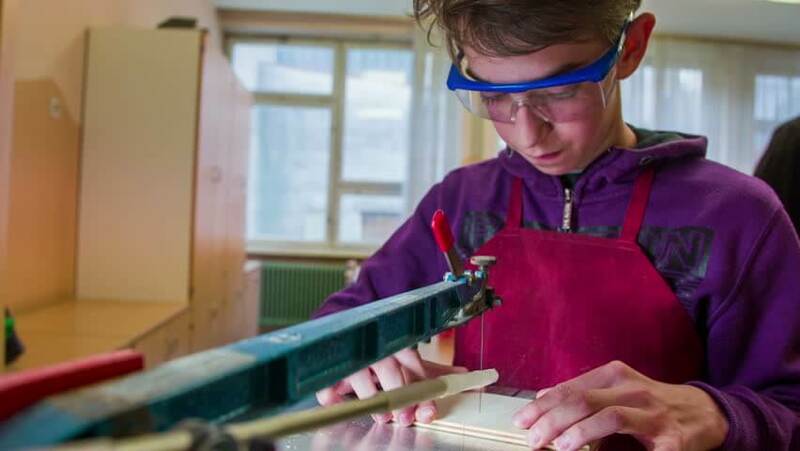 If the blade fits neatly into the kerf, the blade is square to the table. If not, make small adjustments until everything is lined up perfectly. 10. WHAT SAFETY RECOMMENDATIONS ARE THERE WHEN WORKING WITH A SCROLL SAW? Fortunately, the scroll saw is one of the safest power tools you could use. Nevertheless, it pays to take sensible precautions. Wear goggles and a mask. Use the workpiece guard. Always keep your fingers well clear of the blade. Pay attention to loose cords. Ensure there’s no sawdust in the air. Don’t work in long, unbroken stints to avoid repetitive strain injury.